Kathryn has practiced employment law almost exclusively since 1990, after completing a federal court clerkship. Her principal focus has been litigating employment law cases. She has substantial trial and appellate experience in federal and state courts. Kathryn also renders legal opinions on various employment matters and has defended several Americans with Disabilities Act public accommodations cases. Kathryn has served as a member and chair of the Employment and Labor Law Specialization Advisory Board. She has presented continuing legal education programs for lawyers and judges on the Americans with Disabilities Act, statutory and case law updates, and on defending lawsuits. 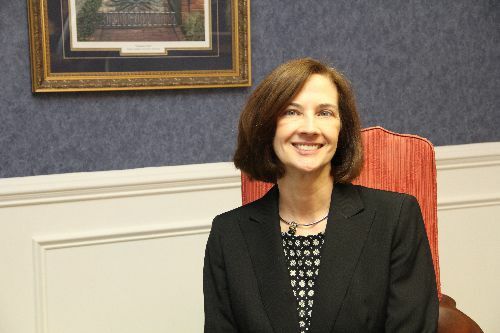 Before entering into private practice, Kathryn clerked for United States District Judge Karen LeCraft Henderson in the District of South Carolina. Kathryn is a 1979 graduate of Wofford College, where she was a member of the Blue Key National Honor Fraternity. She earned her Master’s degree in Architecture from Clemson University. She is a 1989 graduate of the University of South Carolina School of Law, where she was a member of the Order of the Coif and Order of Wig & Robe. She is past-president of the John Belton O’Neall Inn of Court. A native of Columbia, South Carolina, Kathryn is an avid traveler who has visited every continent on the globe, including Antarctica.